In our vision, the church is the institution which has the greatest amount of trust and support from the people, is the only institution that has never failed anybody. The concern and goal of every pastor, no matter the cult he belongs to, is to grow the church he shepherds and to look after its parishioners. Church growth is not easy to achieve, since it requires much effort and passion from a church leader. There are no universal solutions for this goal, but there are certain principles and steps which, if respected, will lead to the growth of the church. A helpful instrument for a pastor today is the modern technique with the tools it offers. Specially designed for the needs of a ministry, church management software allows you to achieve, step-by-step, the principles and stages which must be followed to achieve church growth. Using the modules integrated in this type of software, the necessary steps to increase and maintain the growth of a church can be achieved. This article can be considered a free step-by-step guide to help pastors build a strong and unified community by making use of all the important features a church software has to offer. The first step – church leaders must know as well as possible their parishioners. 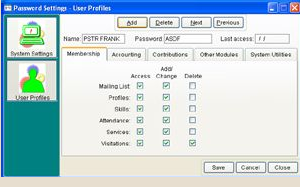 This objective can be achieved using the membership management module, where pastors can make records with their personal data, contact data, family, occupation, talents, hobbies, important events, pictures, on each of the church members. Attendance module helps pastors track the parishioners’ attendance at the services and note their absences, so they can further contact those members and see why they did not participate. The second step is to make the religious service more attractive. In a sermon, the message a pastor wants to give to his parishioners is transmitted not only through words, but by the whole atmosphere created in the church. 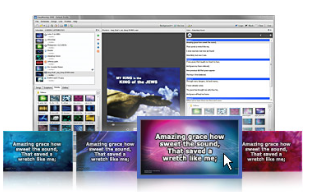 Church management software includes modules for playing music, lighting during the ceremony, displaying song lyrics or Bible versets on a projector, etc. The usage of these audio and visual elements engages a sermon, making it more appealing to people of all ages. The third step consists of efficient membership management. Parishioners need to feel part of one big family, feel they are important to the pastor and the other members of the congregation. 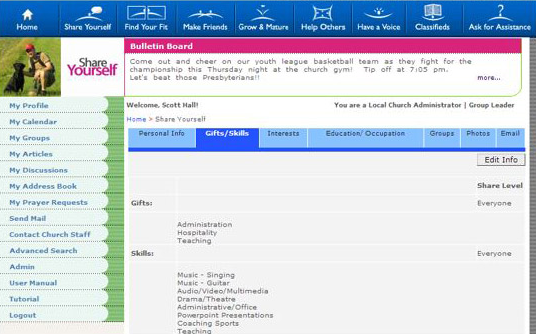 With church management software the user can divide people into groups, make photo directories with one’s personal details which can later be put on the church’s website so that members of the same community can get to know each other quicker. You can learn more about it by reading our church-membership-software article. The fourth step is efficiently managing finances. Another important task for the church staff is handling financial issues. For an easier management of these issues, an accounting software includes modules for managing donations, tithes, aids or the income and expenditure of the church. The transparency of financial activities in a church is important, giving church members great confidence that the money is well spent. Data contained in the various modules of such a software can be updated and imported from one module to another. 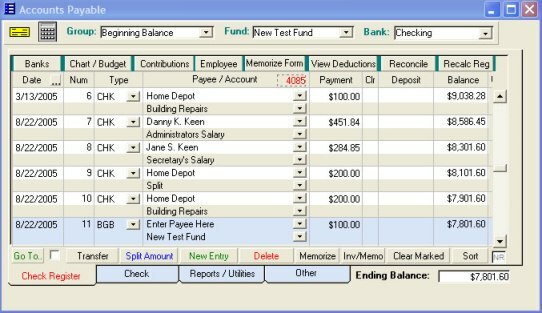 Accounting software programs is useful to make charts on various aspects regarding the evolution of the church and also various types of reports to be disclosed to parishioners. The fifth step is increasing the outreach of your church. The growth of the church is a feature desired by all pastor after a couple of years. For this, church leaders must make the church known to others, either by keeping track of visitors, seeing which activities and events they participating in, either by having a website to present their church, their members and their activity. The goal of attracting more visitors can be achieved in various ways. One possible way is to attract existing parishioners into doing more volunteer work which they can later talk about to their friends and acquaintances and invite them to participate in a job or other activity carried out within the church. Another way is to build a web site for the ministry in which to present the sermons or the humanitarian activities performed by the church. Some parishioners with expertise in areas such as medicine, law, or finance could offer advice to people who have those types of problems. More information on church growth software and how it can be used can be found in our featured article. One particular software for building a community is presented in the following paragraphs. The Connect Our People community building system helps church leaders create connected communities by providing a secure and private area on the internet where only church members have access. The system consists of eight interactive communication tools. Share yourself – members will have the chance to manage their own personal information, restrict who views their information and find places to share their unique gifts and skills. Your community will have the benefits of finding and contacting each other quickly and post individual and family pictures. Church leaders can increase communication through targeted mass emails to help promote fellowship in the church. The information on the site is always up to date, insuring a correct contact information for church members. The contact and photo directories which can be printed are always a desired feature, saving both time and money. You can engage your members with the “Find your fit” module. They can easily join ministry or activity groups, browse existing events or even create their own. Parishioners will so find groups that fit their needs and communicate with the other in an efficient manner, strengthening and deepening involvement in each other’s life. Church leaders will also have the opportunity to let members contact them, by putting that information available on the website. 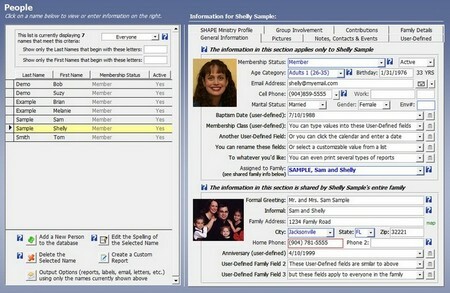 The “Find friends” module makes it easy for members in the same community to find each other through the online searchable and postable photo directories. By filling the required personal information fields, church members will discover their peers, neighbours and the other members who share their interests. The module facilitates getting together and lending a hand in times of need. You can connect your church at a local, regional and national level. With their “Grow and mature” feature, people can get only the information they’re interested in, without having to browse through all unwanted content. Young people can find additional learning and study opportunities. If some members miss an important meeting, they can be kept up-to-date with what they missed. Also, community members can participate in discussion forums at all levels, allowing them to express their opinions and point of view. The module also helps pastors have a better understanding of their parishioners, by archiving useful information such as sermon and Bible study notes or class outlines. 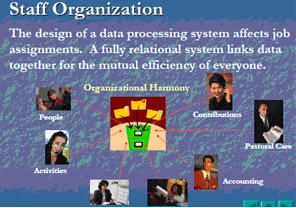 Since the essence of members helping each other is the heart of a unified and strong community, “Connect our people” has developed a module just for this purpose. Help community members find job and volunteer opportunities with the “Help others” feature. Reaching community members and letting members easily reach their church leaders is also an important desideratum in a healthy and connected ministry. By utilizing the “Have a voice” module’s polling capability, church leaders can quickly analyse people’s responses, thus having a better understanding of their parishioners. The Classifieds feature allows members to submit or view listings for products, services or jobs and then make their transactions online. Church leaders can support their community members and local businesses by matching employers and employees, sellers and buyers, the rich and the poor. The “Ask for assistance” module facilitates the dialogue between parishioners and church leaders, by letting people view their pastor’s contact details and the pastors view the latest prayer requests. For more information about pricing and options, visit their website. In conclusion, the mission of a church leader becomes easier when using church management software because it gives a better understanding of all things related to the evolution of a church, from people and their relationship with the church, events, finances and the various tasks that need to be fulfilled by the pastor and the church staff. Pastors will have more time to interact with his parishioners, to listen, advise and help them.